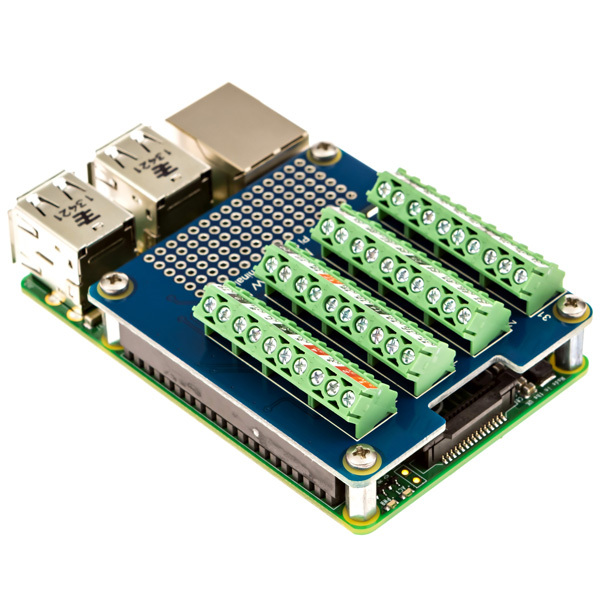 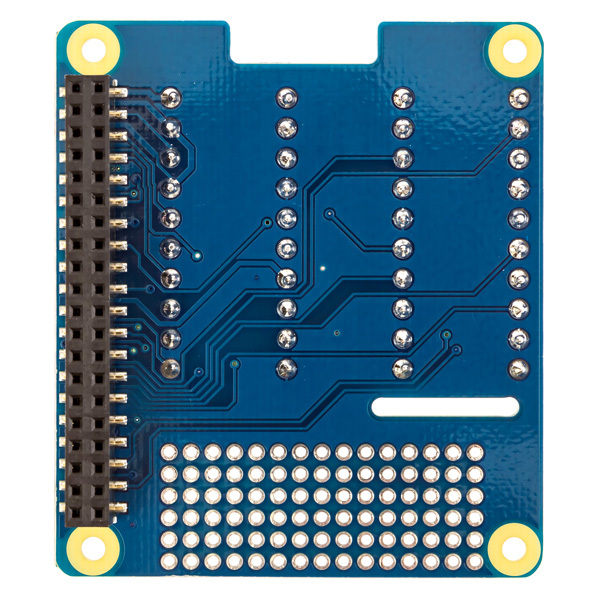 The Pi Screw Terminal Breakout is the perfect way to connect to the power and signal pins on your Raspberry Pi. 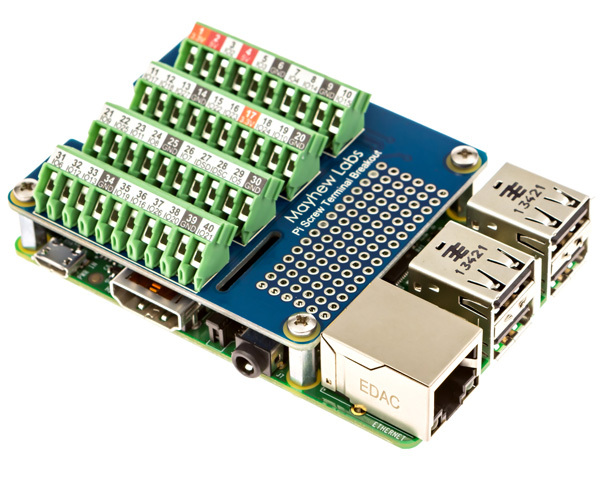 It breaks out all 40 pins of the GPIO header to easily accessible and secure screw terminal blocks with labels for each pin function. 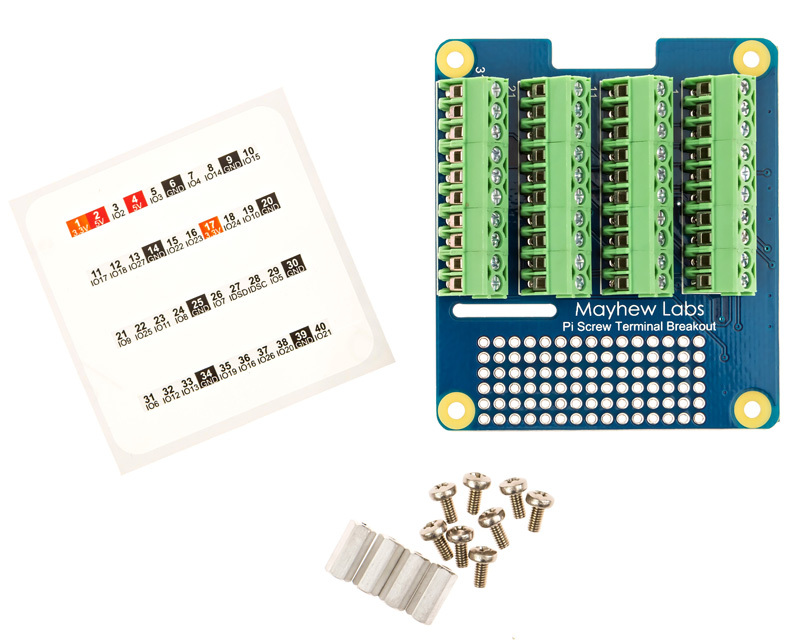 There’s even a prototyping area for adding circuits or ICs, like level shifters, debounce circuits, or LEDs for example.